ALGUNS TIPOS DE MANCHAS EM LABS! 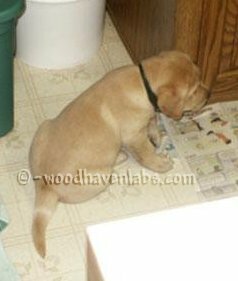 Esta coleção de fotos em labs, foi gentilmente cedido por Woodhaven Labradors (http://www.woodhavenlabs.com). 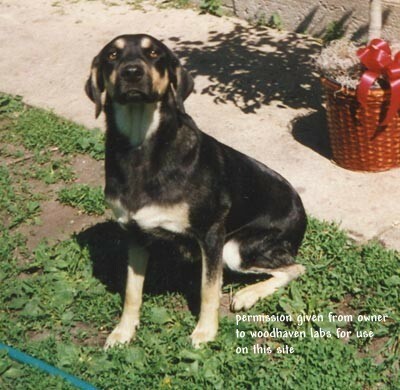 São fotos colecionadas por anos, todos os labs fotografados são oriundos de cães de raça Pura. Os textos foram mantidos em Ingles com retirado do site original. This is a family portrait. 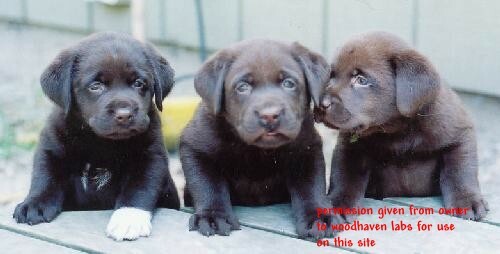 The dog on the far left is the father of the dog on the far right. 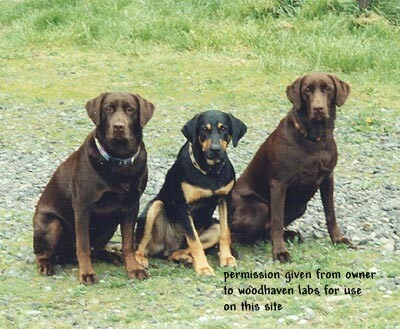 The dog on the left and the dog in the middle have the same sire. 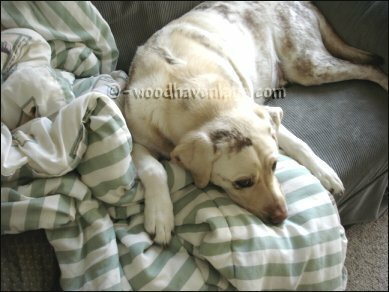 Both of these dogs have tan points. 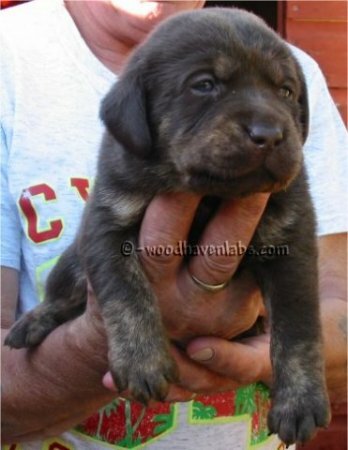 Another adult Black & Tan. 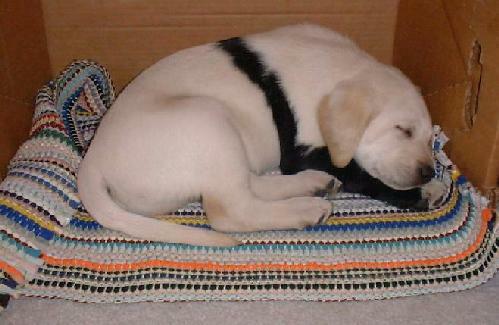 Thanks to Kirsten for this picture of a puppy she produced. The pictures above were generously sent by Lisa. 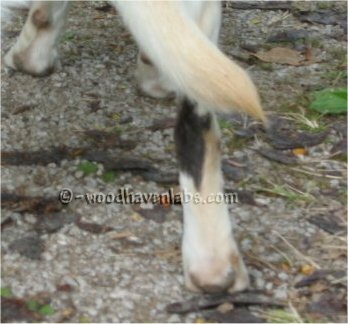 This dog has a black splotch on its hock. The bottom of the tail also has a splotch due to the fact that the two areas were next to each other in the womb. 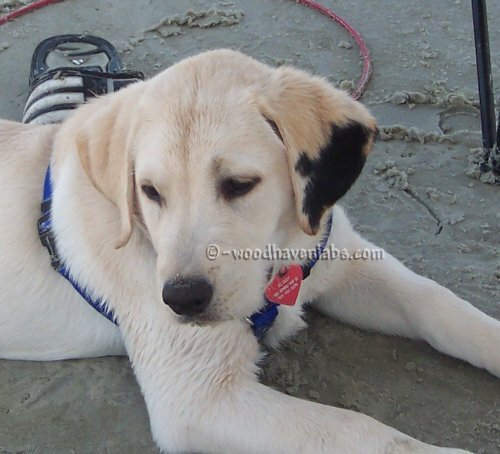 A splash pup with tan. 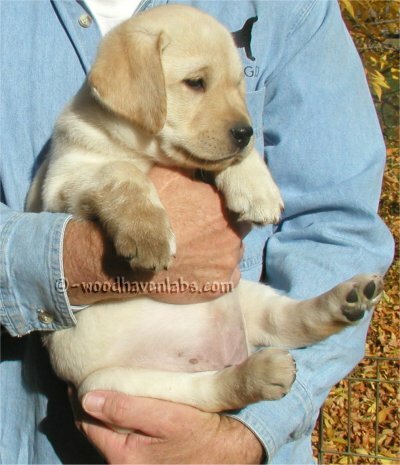 Both parents were AKC Champion yellow Labs. 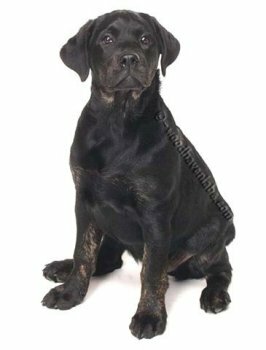 This is a male purebred with over 75% of his ear covered with black. 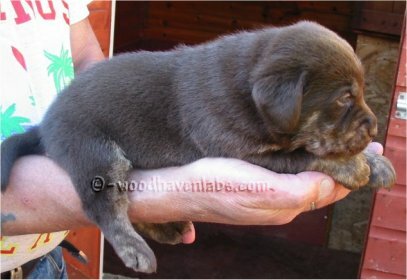 This is a female purebred. 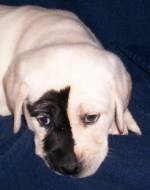 An adorable puppy with a mosiac patch on its face. 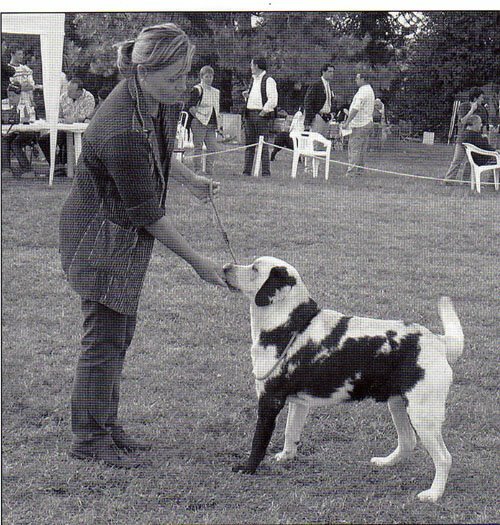 This is the black spotted puppy I produced in 1999. 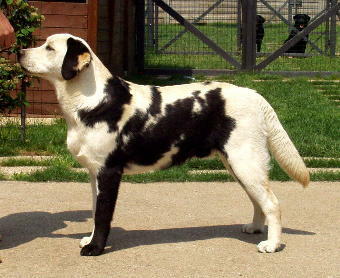 Someone sent me a picture of their own black spotted puppy. (thanks Mary) See it there on its neck? 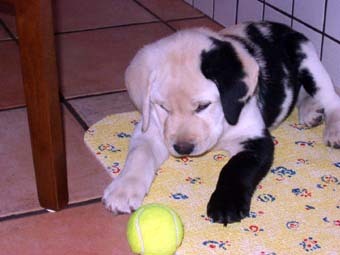 Another black spot on a pup's head. 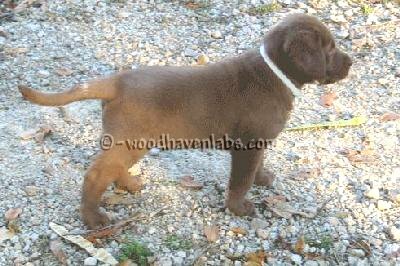 A cute chocolate with a white spot on its tail. 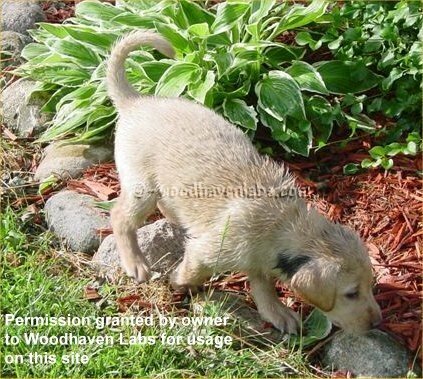 These are very common and a "small white spot on the chest" is permissible in the AKC Labrador Retriever standard. A version of misplaced white hair. 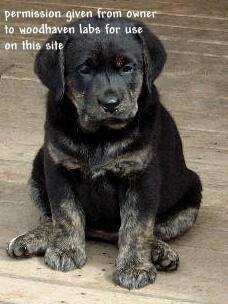 Notice the front foot of the smaller puppy in this picture. These are not considered mismarks. 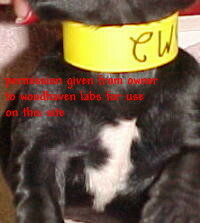 Here is a dog who has the grey factor which isn't technically a mismark. 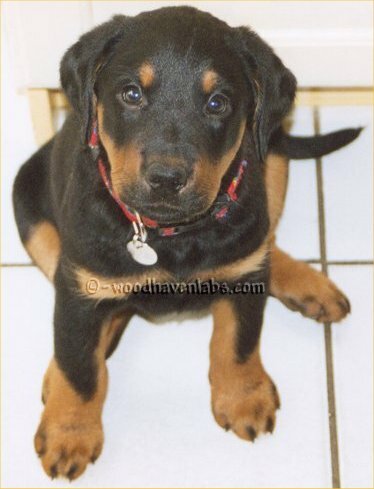 By the way, this dog had Bolo spots (see below) on all 4 paws as a young puppy. 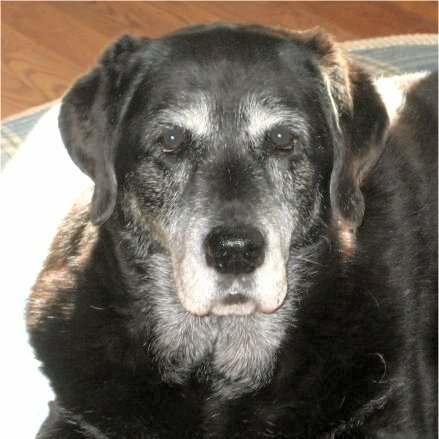 Could the greying be connected? This is called a "Bolo spot" or bolo mark. Its named after CH. 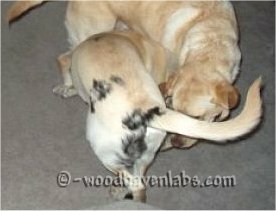 Banchory Bolo one of the early Labs who had these spots and passed them on to his get and future generations. 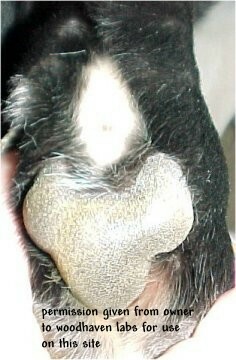 Bolo spots are found on the back of the leg above the pad. This is NOT considered a mismark. Another bolo spot but in a yellow. While bolo marks are not considered a mismark, there is debate on whether or not it would be considered a disqualification in the conformation ring. 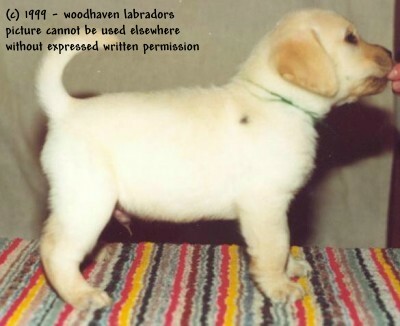 The Labrador standard allows a small white spot on the chest and states it is "permissible" to have one. However, it doesn't mention bolo spots which makes it open to interpretation for a judge. 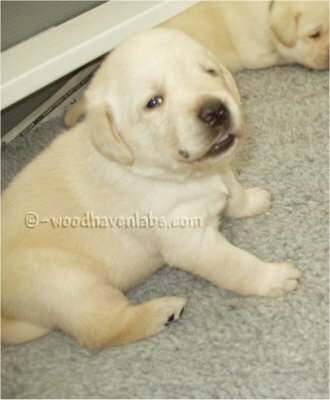 General consensus is that it would probably be allowed under a knowledgeable breeder/judge, but not under a all-breed judge. 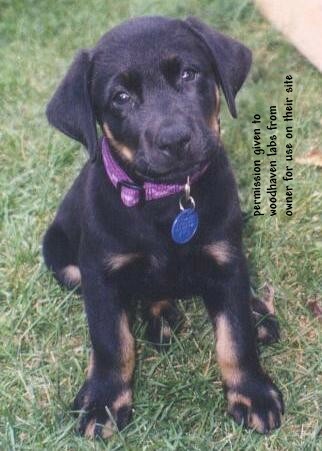 The breeder/judge would know that these are common in Labs, but the all-breed judge might not. This is another interesting case. 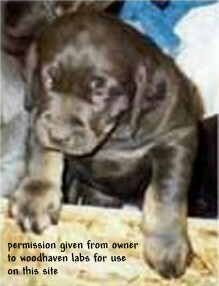 An owner posted this picture on an online bulletin board. 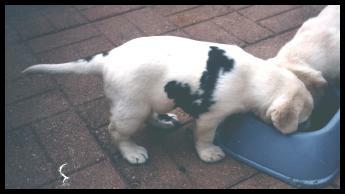 It is an 11 week old puppy with white-flecks of hair along its back. 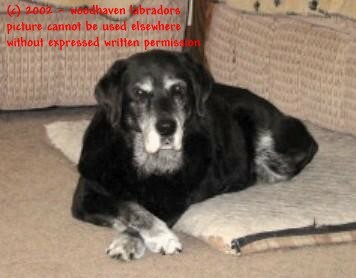 This was a first for me, but according to the late Helen Warwick in her book "The New Complete Labrador Retriever" (chapter 6) she states in part: "White hairs first appear singly on the feet and legs, later spreading with varying density to other parts of the body... Usually the under coat grays, giving the coat a salt and pepper appearance. ...Development and disappearance of this condition may be rapid or slow. 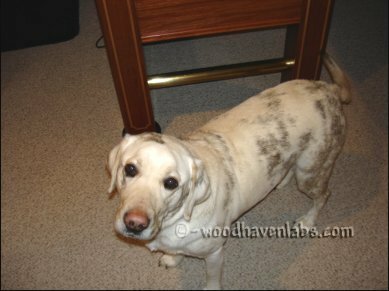 In my experience, the white hairs have disappeared by the time the animal is ayear old and the puppy coat has been shed. I know of no instance in which the condition has recurred." 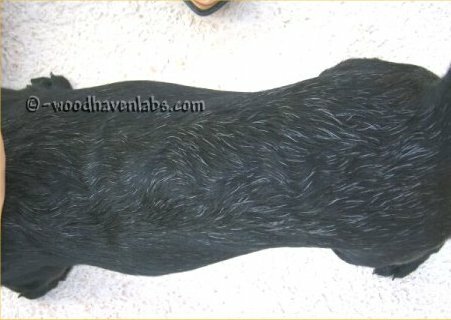 This dog not only has the greying factor, but also a reddish tinge. 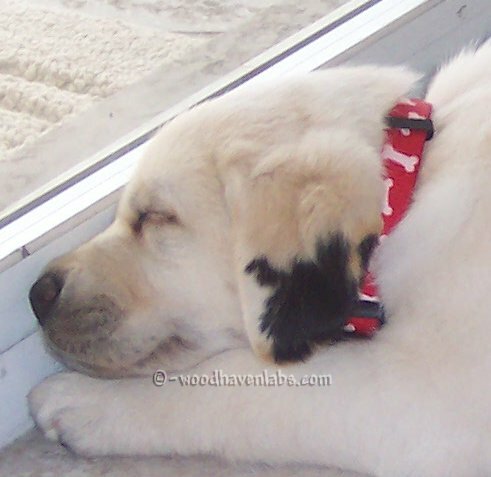 PLEASE NOTE: None of these markings makes a dog unfit as a beloved pet. 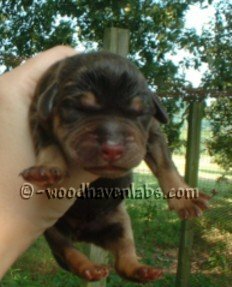 By the same token, no one should try to classify these markings as rare and charge more for a puppy who has these markings. 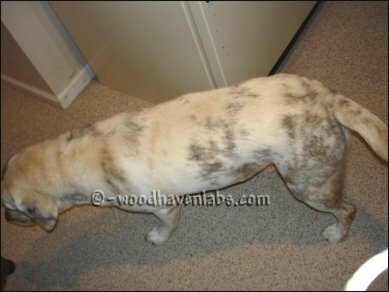 We get mail daily regarding whether or not someone's dog might be mixed, but sold as purebred, due to some of the markings on their dog. 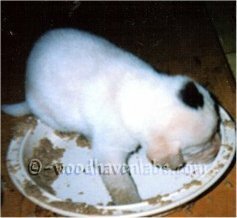 These pictures are here for the sole purpose of education on what might occur on some puppies/dogs.